Eggplants are actually native to India & are commonly known as brinjals. They are a wonderful source of dietary fiber, potassium, Vitamin C and Vitamin K. Eggplants also contain many antioxidants, which neutralize free radicals in the body & protects the cells from damage. That being said, my Vangyachi Dal (Maharashtrian Eggplant Dal) is a delicious combination of eggplant & dal simmered together with a little tamarind. The tamarind tree is also native to India. It produces a large brown fruit or pod that contains the tamarind pulp. The use of tamarind (pulp) is very common in Indian food, especially in South Indian cuisine. It imparts a unique sweet, sour and tangy flavor that is absolutely delicious. Tamarind pulp has many health benefits and aids in digestion. It is high in both vitamins B and C and also calcium. Tamarind pulp is easily available in any Indian grocery store in many forms such as tamarind powder, tamarind concentrate and even dried tamarind pulp. If you are unable to find tamarind pulp, you can use fresh lemon juice as a substitute. For this particular recipe, I recommend using the long thin Japanese eggplant variety as they stand up better to the cooking process. If you using a pressure cooker, cook the dal along with the toasted fenugreek seeds. The dal should be completely tender but not mushy. Alternatively, you can also cook the dal on the stovetop. If you are cooking the dal on the stovetop, add the toasted fenugreek seeds & enough water to cover. The dal should be completely tender but not mushy. Then, using the back of a large spoon or ladle, slightly mash the dal against the sides of the pot. This will give you a nice creamy consistency. Set aside & let cool until needed. Slice the eggplant in ½” thick rounds first, then slice the eggplant rounds in half – giving you half moon shapes. Cut the eggplants right before needed so they do not discolor. Meanwhile in a sauce pan on medium high heat, add the oil. When hot, carefully add the mustard seeds. When the splattering stops, reduce the heat and add the curry leaves, green chilies & the asafetida. Next, add the turmeric and stir, let cook for a few minutes. Next, add the sliced eggplant & sauté until slightly browned & softened. Then carefully add the cooked dal along with any cooking water. Stir well to combine. If the dal is a bit too thick, add a little water as needed. The consistency should not be too thick or too watery. Next, add the kala masala (or garam masala). Stir well to combine and add the tamarind, jaggery & salt. Reduce the heat to low, bring to a gentle boil & let simmer for 6-8 minutes until all the flavors have mingled. Garnish with freshly chopped cilantro leaves, serve with fresh chapatis & fragrant Basmati rice. Try adding a little freshly chopped garlic to the hot oil along with the curry leaves, green chilies and asafetida. You can also add some cumin seeds to the hot oil as well. Try adding some desiccated coconut to the dal; dry roast the coconut first in a dry skillet & then add it to the dal during the cooking process along with the tamarind. NEWSLETTER: I invite you to subscribe to our free weekly newsletter. This gives you all of the updates for the Indian Food site. Sometimes, this newsletter has additional information on recipes that are not in the articles. Fill in the blank just below the article with your email address - which is never passed on beyond this site. We will never sell or trade your personal information. Content copyright © 2018 by Sadhana Ginde. All rights reserved. This content was written by Sadhana Ginde. If you wish to use this content in any manner, you need written permission. Contact Sadhana Ginde for details. A great place to share ideas and exchange recipes. 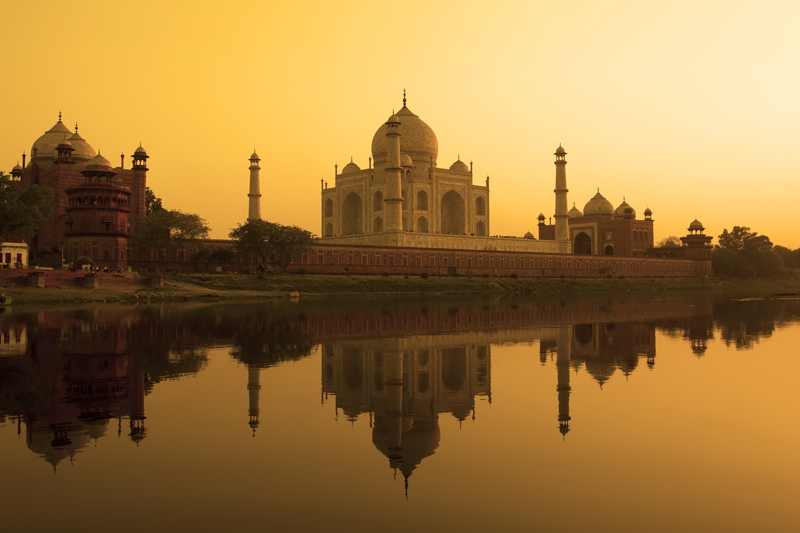 Learn more about India, its culture and especially, the food. Join the IndianFood Forum! Subscribe for free weekly updates from this Indian Food site.